Posted byadmin	 6. July 2014 1. January 2015 Leave a comment on The Best Fitness Wind Sprint Routine! 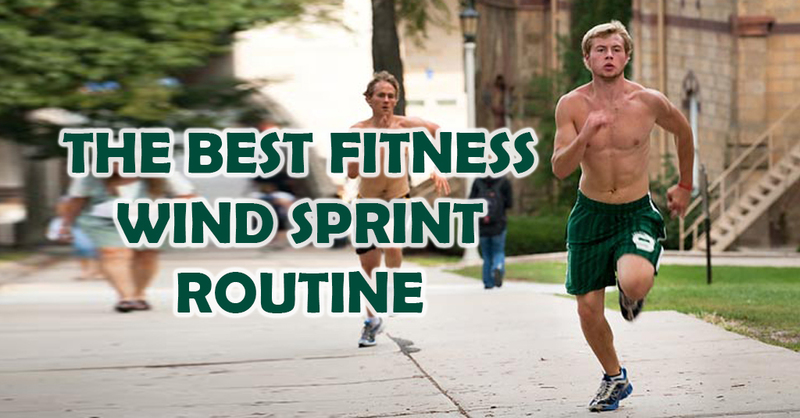 The actual sprinting routine is intense, but basic in nature. The main thing is not how fast you move, but how much exertion you feel. After doing your warm-up, run about 85 percent maximum effort for 20 seconds. Use the talk test to gauge this. You should not be able to carry on a conversation at this point. Once you’ve finished your sprint, reduce your intensity to about 50 percent maximum effort for 40 seconds. Alternate back and forth for the rest of your workout and finish with a light cool-down jog in similar fashion to your warm-up. You do not have to start out doing 20-second sprints either. If it is more comfortable, make your sprints 10 seconds each and gradually increase your times as you fitness levels improve. TMake your low-intensity bouts twice as long as your sprints. You also have the option of resting completely in between your sprints.